Ring News 24Boxing News Breaking Boxing NewsTony Bellew Ends Heavyweight Dream; Admits Wilder and Joshua are ‘Too Much’; Could He Crash World Boxing Super Series party? Tony Bellew Ends Heavyweight Dream; Admits Wilder and Joshua are ‘Too Much’; Could He Crash World Boxing Super Series party? There is something about former cruiserweight champion Tony Bellew that is pretty inspiring. Bellew, if you remember correctly, last tasted defeat in November of 2013, when he dropped a unanimous decision loss to WBC light heavyweight champion Adonis Stevenson in the champion’s native Canada. Since that defeat, Bellew has reeled off nine straight victories, including seven stoppages. Perhaps the most notable of those victories took place in March of last year, when he surprisingly stopped former heavyweight champion David Haye in the late rounds. 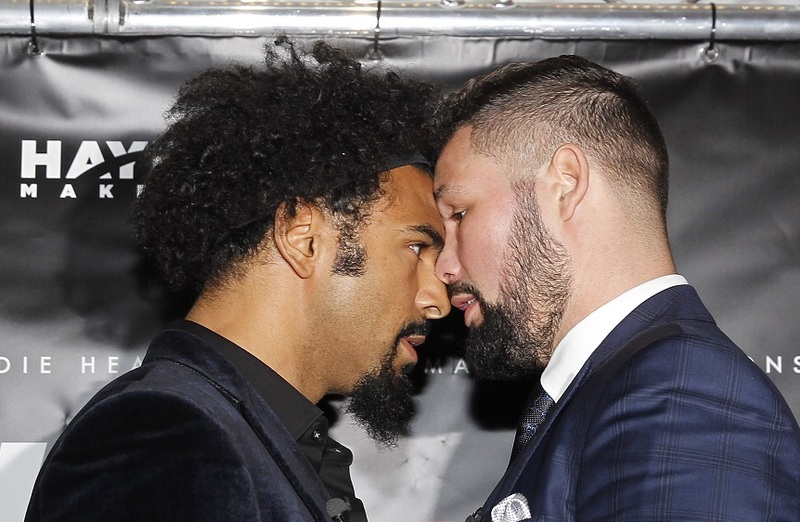 Bellew and Haye are schedule to go at it again, for May 5 inside of the O2 Arena in London, and Bellew should likely emerge as a viable name, win, lose, or draw. But what does the future hold for Bellew? Following the Haye rematch, which will take place at the heavyweight limit, Bellew has said that he actually has no interest in facing either WBC heavyweight champion Deontay Wilder or IBF/WBC champion Anthony Joshua. Instead, Bellew has his sights on Joshua’s next foe, WBO heavyweight champion Joseph Parker. Very candid from Bellew, who continued. Bellew stepped up from cruiserweight to heavyweight when he upset Haye inside of the O2 Arena in London. In doing so, Bellew was the WBC champion at cruiserweight, and he still holds the “Emertius” title, meaning he can return and challenge their champion, who is presently WBC/WBO kingpin Oleksandr Usyk. Usyk is part of the highly-entertaining World Boxing Super Series tournament, which began in late 2017, and features the cruiserweight and super middleweight classes. Bellew reportedly turned down the chance to enter tournament, which will see one man holding all four titles at cruiserweight. Ukraine’s Usyk reached the final over the weekend and will face either Russia’s Murat Gassiev (IBF champion) or Cuban Yunier Dorticos (WBA champion) before the summer. Gassiev and Dorticos fight this weekend in Russia. Bellew definitely seems to have interest in facing the tournament’s winner, however. “I still very much believe it is my division,” stated Bellew. “I still see myself as a cruiserweight and there’s a huge opportunity available for me there. This World Boxing Super Series has been a breath of fresh air. Strong words from Bellew, but one had to admit he is a very viable name for the winner of the tournament. Let’s see hope Bellew does in the Haye rematch first, however.